Narcotics officers raided a Hillcrest smoke shop and arrested a clerk suspected of possessing a third of a pound of the synthetic drug spice and nearly $5,000 in cash, authorities said Thursday. 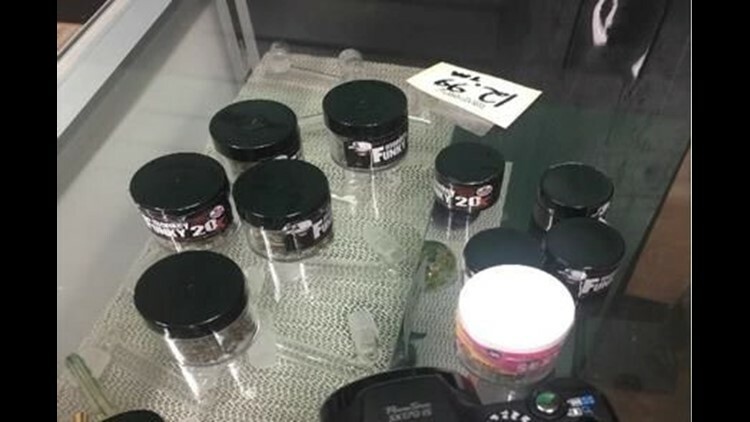 SAN DIEGO (CNS) - Narcotics officers raided a Hillcrest smoke shop and arrested a clerk suspected of possessing a third of a pound of the synthetic drug spice and nearly $5,000 in cash, authorities said Thursday. The raid Tuesday at Godfather Smoke Shop in the 3500 block of Fifth Avenue resulted in the arrest of 55-year-old Loay Lawrence, who's also suspected of possessing 375 pills of the synthetic drug Kratom. Both spice and Kratom are banned under the city of San Diego's synthetic drug ordinance, which was enacted in June of last year "in response to a high number of synthetic drug related overdoses," San Diego police Narcotics Unit Lt. Matt Novak said. Narcotics detectives began investigating the Godfather Smoke Shop after receiving a tip that spice was being sold there, Novak said. Lawrence's case will be turned over to the San Diego City Attorney's Office for prosecution. He faces criminal and civil penalties up to six months in jail, three years of probation and a $1,000 fine. "The safety of the public is jeopardized when synthetic substances are sold and distributed to potential consumers," Novak said. "Violations of San Diego's synthetic drug ordinance will not be tolerated." Police Chief Shelly Zimmerman weighed in on Twitter this morning saying that "spice is extremely dangerous." "Do not use spice and for those who continue to sell this dangerous drug you should expect to be arrested," Zimmerman tweeted. Police asked for anyone with tips or information about the sale of spice or other synthetic drugs to call the SDPD narcotics unit at (619) 531-2468.